If you want to be a vlogger, the most important thing that you simply cannot do without – apart from good content – is a quality vlogging camera. For professional videos, in-built laptop cameras and smartphones simply will not suffice. While professional cameras can be quite pricey, there is a handful that boasts quality and a low price tag. For the most part, you will be able to enjoy good resolution and easy handling. At the same time, you will need to be prepared to deal with issues such as poor resolution in low light. 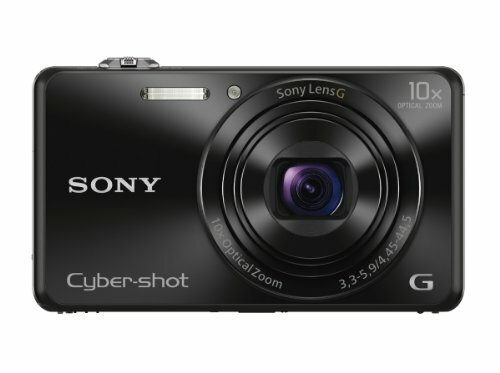 This is the best vlogging camera under $200 for vloggers that like to move around or head outside. First, this is an incredibly slim and light camera, practically effortless to carry around with you. You can shoot in either 720p or 480p, each producing quality video. The frame rate is dependent on whether you decide to use NTSC or PAL on the Video Out settings. The videos are shot and stored in mp4 format. If you want to shoot in the highest quality available, you should be able to get at least 20 minutes of footage. For more standard settings, you can shoot over an hour with this camera. 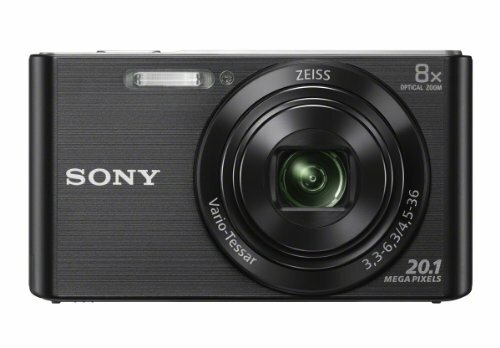 You are also assured smoother video with this Sony camera as it is equipped with Standard and Active SteadyShot. This helps to even out most jerky movements that are captured on the video. There are also numerous adjustments that you can make to help the video to come out better. This includes regulating the white balance settings and adjusting exposure compensation. The only real complaint with the W830 is that there are no dedicated buttons to the video feature. As a result, you have to learn the sequence of buttons to press before it is activated. When it comes to overall quality, however, this camera is hard to beat. 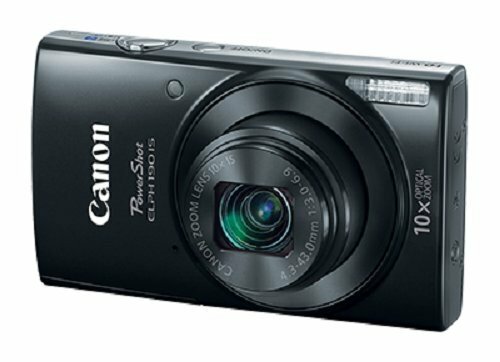 For its price tag, the Canon Powershot ELPH 190 does manage to pack in rather a lot of features. For a vlogger, its most important characteristic is that it is capable of shooting video in 720p at 25 frames per second. With a 20 megapixel lens, you can be certain that the resulting video will be crystal clear. What we were quite impressed by was the Intelligent IS which is responsible for eliminating any shaking that occurs during filming. When recording video, you can choose from Dynamic IS, Macro (Hybrid) IS, Powered IS, and Active Tripod IS modes. This means that regardless of the filming situation, you will be able to get a smooth shot. Also, you get both Wi-Fi and NFC features which makes sharing your videos and photos that much easier. The Wi-Fi element allows you to upload video in real time while the NFC makes it simpler to transfer it to other devices. If you want to extend the life of your battery as long as possible, you can. With the help of the Eco mode, you can cut down on the power consumption of the camera. If there is one thing that could be changed about the ELPH 190, it is the screen display which is quite small and has poor resolution. While The WX220 may be dangerously close to the $200 mark, it is worth every penny. It is one of the few cameras that can record in 1080p. This allows you to produce an incredibly vivid and clear video. In addition to be crystal clear, you can also get video that is quite smooth all thanks to the Optical SteadyShot Active mode. On its own, this feature does impressive work. However, when combined with the BIONZ X processor, the sound on your video improves considerably as well. Furthermore, you can be assured of clear, shake-free video even when there is low lighting. The other impressive thing on the WX220 is that it is quite compact. This is certainly something you can fit in your pocket and take wherever you go. What also stands out about this model is just how connected it lets you be. With both Wi-Fi and NFC capabilities, you can share videos and images with a touch of a button. This can come in quite handy for vloggers who want to update their videos in real time. A peculiar issue with the WX220 is that it captures images and video much better when outside. When indoors, the colors can appear to be a bit distorted. One of the obvious advantages of this camcorder is the HD recording capability. It can record in 720p at either thirty or sixty frames per second. It can also record in 1080p at 30 frames per second. When it comes to the recording features, they are quite rudimentary. Fortunately, there is an anti-shake feature which does help to prevent too much distortion while recording. What really makes this a great camera for a vlogger, however, is the remote control. With this, you will be able to record yourself without even having to pick up the camera. 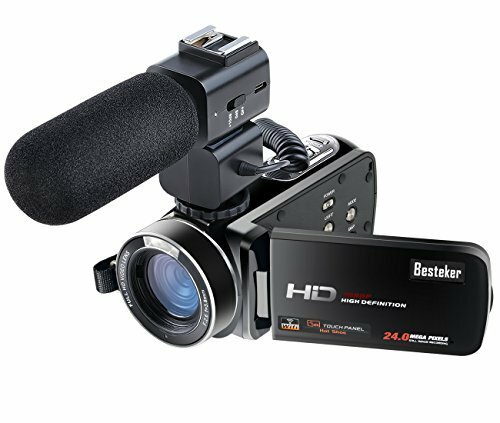 In addition to the excellent video quality, what really makes this camcorder stand out is the audio quality. It is excellent at picking up the vocals and sounds that you do want to pick up, and drowning out any background noise. It is also good for recording sounds a short distance away. This camcorder also comes with Wi-Fi features. This makes it easier to transfer any photographs or videos to your computer or tablet. One of the few complaints regarding this camcorder is the battery life. Although it is supposed to last you two or more hours when it is fully charged, this is not always the case. Also, using the Wi-Fi drains the battery even more. One of the things that you will need to consider with your vlogging camera is the lens angle. This feature is what will determine just how far you have to hold the camera away from your face. Especially if you are shooting indoors or will be stationary for most of the video, you will need to camera closer to your face. You should look for a lens angle that is between 20mm and 24mm, at least. This will allow you to hold the camera more comfortably and preserve audio quality as well. Then there is a question of the camera weight. If you are planning on moving around while you are filming yourself, you will need a relatively lightweight camera. Despite the size, the camera should be relatively durable so that it will not break with the smallest of impact. The other point that you should think about are the controls. Remember, you will need to hold the camera, record, and manage the controls all at once. This is why it is best to opt for cameras with controls that are well-placed, allowing you to be intuitive about changing the settings. Fortunately, there are also cameras that have remote controls that make this task a lot simpler for you. Image stabilization is also an important factor. When moving the camera around on your own, you will record a considerable amount of shakiness. Image stabilization and similar features will help to negate these problems and make your video look smoother. With cheaper camcorders, audio is typically something that you have to sacrifice, particularly if you relying on a built-in microphone. The two main types of microphones that you will find are the top facing and the front facing. If you are going to be recording a lot of selfie-like videos then a front facing camera will pick up the sound better. Now you know what the best vlogging cameras under $200 are, and you have some information to make it easier for you to find similarly low priced cameras.